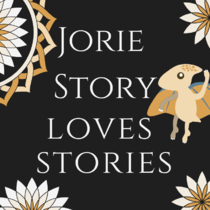 About meJorie Story is a book blogger, joyful tweeter and a writer whose season of publishing is yet to come. Happily spending her hours seeking out wicked sweet stories conceived with a dedicated passion by their writers: she is a time traveller through the portals which stories can yield seeking her favourite next reads. Entering her third year  as a book blogger she expanded her readerly contributions to pro-actively seeking betareading projects to expand her portfolio of freelance work. Her first vintage typewriter is a Royal wherein her future collective works will be composed and created. She has a knitty heart for charity and is eclectically geeky by nature. Photography is a medium of art she has developed through self-discipline and exploration of wildlife habitats and natural landscapes. She is toying with the idea of vocalising her ‘term’ Cosy Horror into an inventive work of story which parlays itself between what is Psychological Suspenseful with an edgy textural element of Horror. Where she wanders outside of this scope of focus is yet unknown. A champion of wordsmiths who evoke a visceral experience in narrative. She writes comprehensive book showcases electing to get into the heart of her reading observations. She dances through genres seeking literary enlightenment and enchantment. A traditional reader of print books & a listener of audiobooks, as she does not read digitally due to chronic migraines. She does appreciate short chapter samplers or excerpts to aide her search for new authors to read. (*) Note if any ebooks show up in my library I received an ARC or print copy to read and/or review (on my blog). In rare cases I was itching for a print release whilst the book was strictly Digital First. About my libraryA writer who not only dances through genres as she devours stories but carries the torch forward whilst composing her own narratives and worlds. Not limiting herself to one particular branch of literary shelving, she happily resides inside Science Fiction, High Fantasy, Mystery & Suspense (esp Cosy Historical Mysteries or Rom Suspense), Historical Fiction (esp keen on Biographical HistFic), Nautical Fiction, Poetry and Inspirational Fiction (multi-genres of interest). She devours YA & MG Lit on a regular basis whilst attempting to stack her reading hours with more Classical works of literature; she's practically an inactive member* of The Classics Club as a result! Her select Non-Fiction choices run the gambit of the diverse topics & subjects which catch her eye of interest. Steampunk caught her creative eye for its visual clarity of self and how its uniquely re-envisioned by each person who claims it as their voice of expression. She is purposefully seeking stories from this genre as she's dearly under-read within its realms; with a penchant for a particular kind of ‘Steampunk’ which will whet her palette of interest to explore. I have the blessing of crossing paths with authors in the twitterverse of whom are routed into two Lists on Twitter: Writers Who Find Me & Authors Keen to Read. I am merging the titles I've reviewed on my book blog into my LT library as well as merging the authors I found myself or those who found me on Twitter into working lists on my LT as well. This is my niche of a space to get organised and to see a running list of all the lovelies I want to eventually read. Ultimate dream: get a cuecat and organise my personal library which I've been curating since I was a young reader hungry for a story that would satisfy my curious imagination for a well-built world enriched by strong characters and a breadth of story.